No one can deny how tedious dating can get. Just imagine going through one failed date after another and you’ll get a pretty clear picture as to why so many people are turning to the more modern and efficient approach to romance that is online dating. In this day and age there are a lot of different online dating sites. Some focus on smaller groups and niches, while others try to provide their users with a little bit of everything. In both cases, there are risks and rewards that are common for every dating service out there. There are quite a few reasons why online dating has become such a strong competitor to conventional dating, but if we had to choose the biggest, it would be sheer comfort. Sitting at your computer chair while browsing through the profile of potential partners and soul mates sounds a lot nicer than wasting your time, money, and energy on pointless dates that are doomed to fail from the get-go, doesn’t it? Another good reason why online dating became so big in recent years is efficiency. Most dating services allow their users to search for a matchup while applying certain parameters. For example, if you’re a guy in his 40s looking for a dark-haired, blue-eyed, younger woman who is a Christian and likes reading books, a good majority of dating sites will allow you to input these parameters before starting your search for love. Last, but not least, are free dating sites. 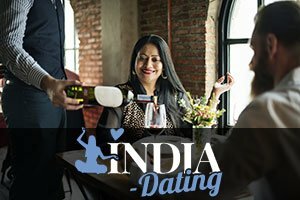 There are lots of dating websites that are completely free-of-charge, as well as those that are initially free but hide most of their tools behind a paywall. Either way, it beats spending money on failed blind dates, that’s for sure. So far, it’s safe to say that online dating is a game that works. Many examples have proven the viability of this trend, but there are also certain dangers you should watch out for. There’s no argument about what is the biggest threat on online dating sites. Yes, we’re talking about scammers – these people lurk around every corner of the internet, and unfortunately, online dating isn’t immune to them. Even some of the best dating sites suffer from this disease. Contrary to popular belief, cyber thieves and con men and women are almost never working with or for the website itself, but are individuals whose only goal is to rid someone of their hard-earned money. Other than that, online dating lacks that certain dose of mystery that conventional dating possesses. Some people find it better to know as many details about a potential partner as possible, while other think looking into someone’s profile kills the romance. This largely depends on how you feel about mystery, romance, and venturing into unknown territory. Bottom line is, however, that online dating works and is certainly a much more time-preserving way of finding love. Give it a go!